Epic en plein air painting last week with artists Andrew Tischler and Freeman White, what an awesome two days it was painting with these guys. 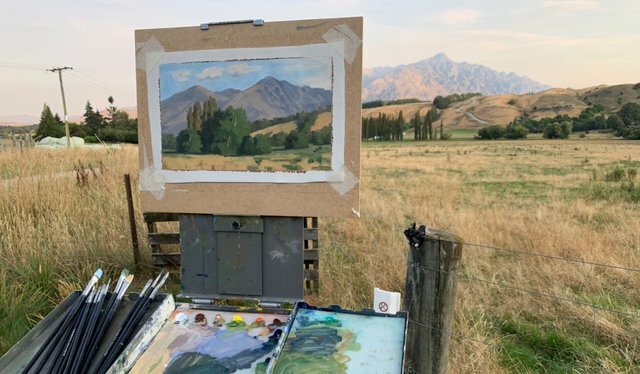 We concluded the second day by painting in an area called Dalefield just outside of Queenstown which features farmland, broadleaf European trees and the epic Remarkables Mountains in the background. I painted this art work in oils on loose canvas taped to a board. 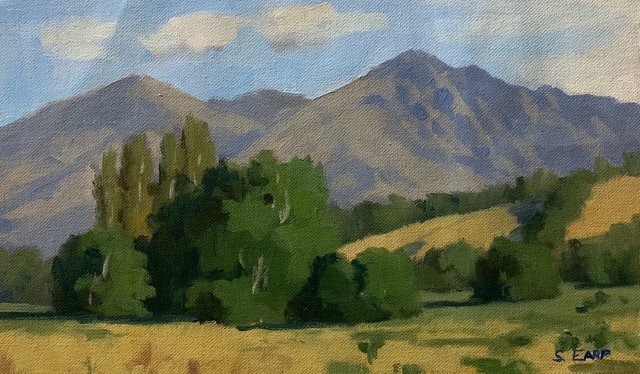 Dalefield, New Zealand, 18cm x 25cm (approx), oil on canvas, painted outdoors en plein air. What a beautiful plein air paintings, Sam <3 With two new awesome artist companions, too.... aaah such an artistic energy !